Hilton Head Island attracts thousands of visitors each year thanks to its golf courses, shopping options, and pristine beaches. 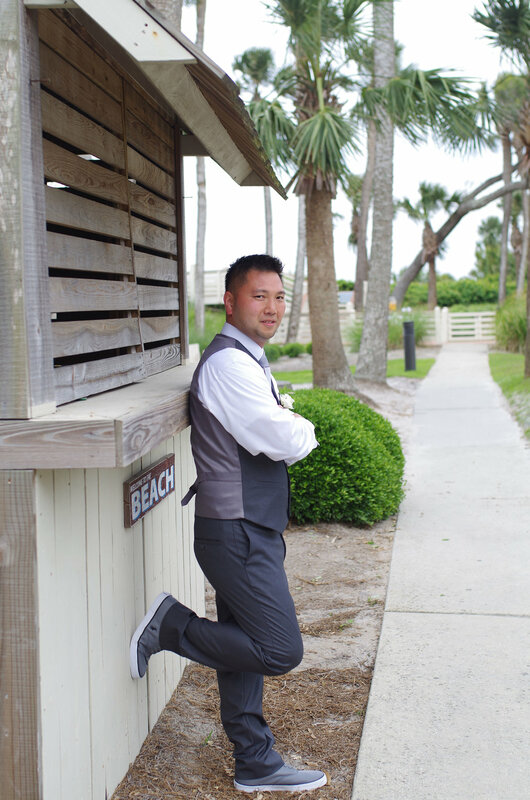 When Michigan residents Katie and Eric began looking for the perfect spot to exchange vows, they were drawn to the natural beauty of this South Carolina barrier island. 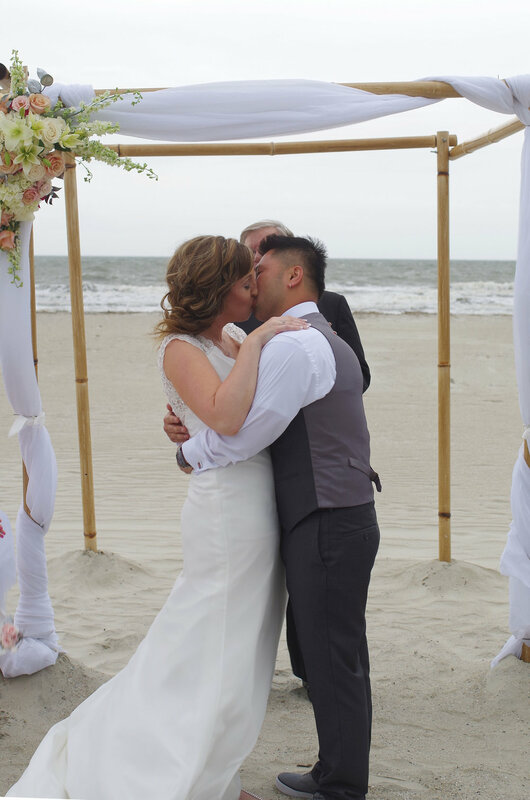 Their oceanfront wedding kept things simple so they could enjoy their destination wedding without stressing. 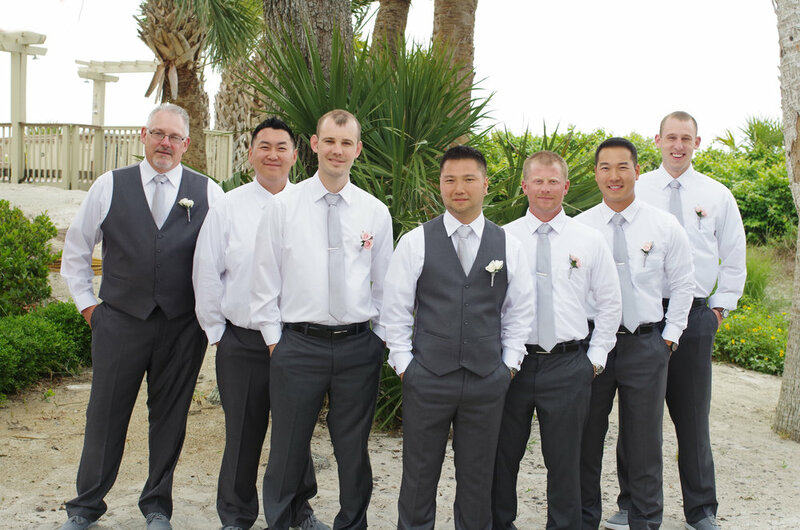 The Sonesta Resort offered beachfront accommodations so the wedding party and their guests could easily access the beach ceremony location. Then, it was time to head back to their wedding reception inside the resort! 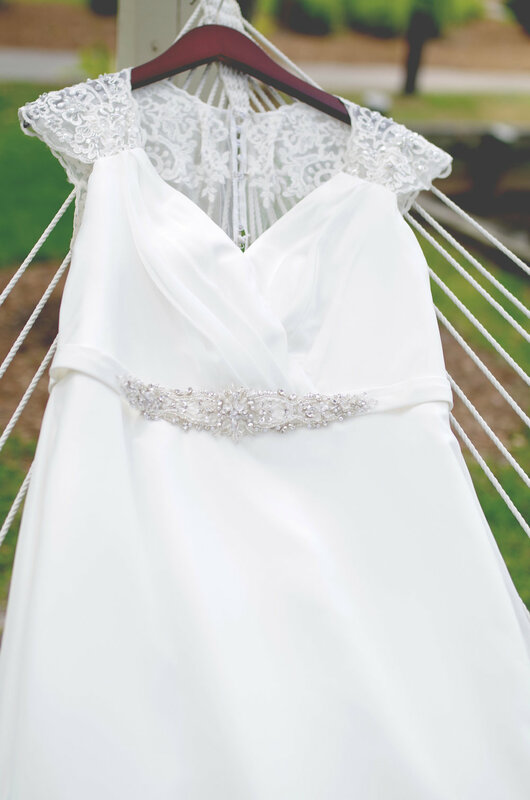 The couple invited photographer Alicia Leffler from Looking Glass Photography along on their destination wedding, and she caught all of the special moments Katie and Eric shared on their romantic island adventure. Dating can be tough. Finding that one person who completes you in every way is a daunting task, and you often have to kiss a lot of frogs before you find your prince (or princess!). Thankfully, in today's technologically focused world, we have internet dating to help us navigate through the entire process. With a few clicks, you can quickly find several potential matches without the hassle of suffering through dozens of bad coffee dates. Katie and Eric saw online dating as an opportunity to find someone that they might normally not meet: they reached out to one another and soon those internet chats led to in-person dates and a commitment to long distance dating. They quickly realized that they'd found their match, and took the next step to start planning their wedding. Katie and Eric wanted a destination wedding, but they didn't want the hassle of long haul flights or passports. 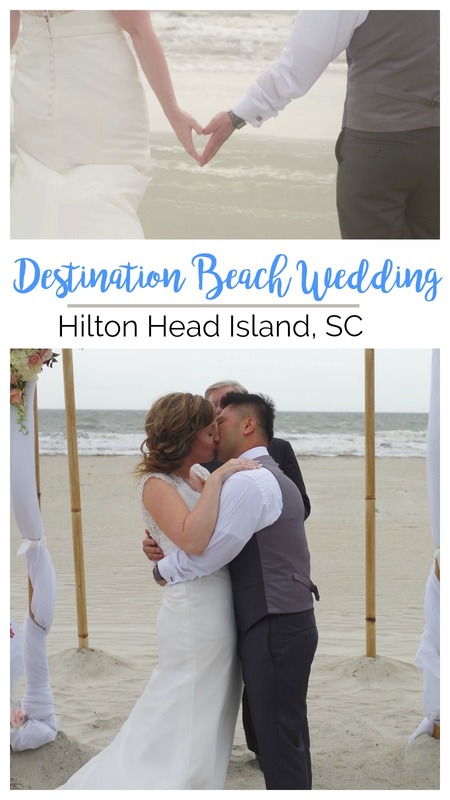 Their solution was to find a beautiful beach location that was within driving distance of Michigan, and Hilton Head Island proved to have everything they wanted and more. The big question when you're planning an outdoor ceremony is "what happens if it rains?!" After envisioning a beautiful moment surrounded by the loveliness of nature, it's often a big disappointment when the weather doesn't cooperate. Katie and Eric had everything ready to go on the day of their wedding, but the skies threatened rain. Remembers photographer Alicia, "On the day of the wedding, the threat of rain loomed, however nothing was stopping these two lovebirds. 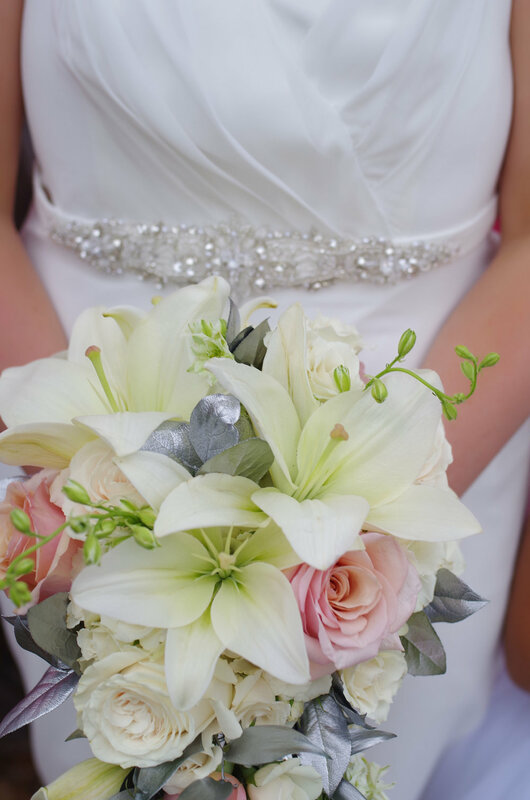 It's like the weather knew it needed to behave just long enough for everyone to enjoy a gorgeous ceremony styled just for Katie and Eric." She even managed to snap a few photos after the ceremony as the rain held off. " The minute photos were done, the downpour started. 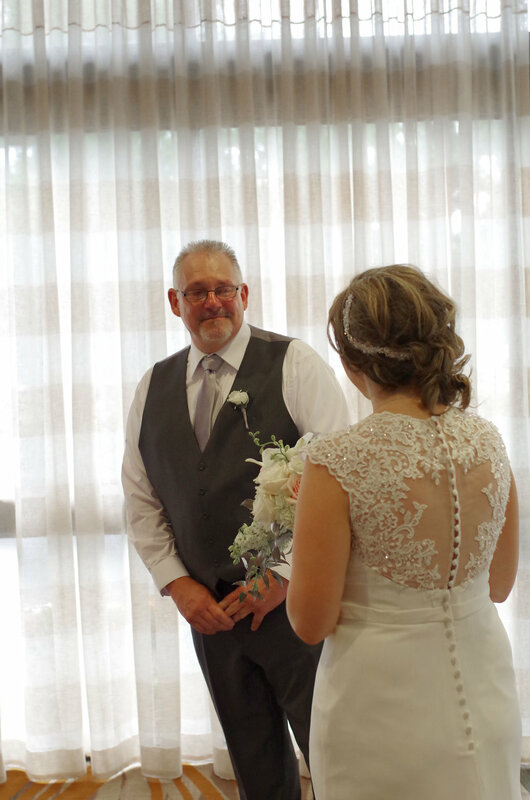 Someone was looking out for this couple who had dreamed of this day for so long!" says Alicia.